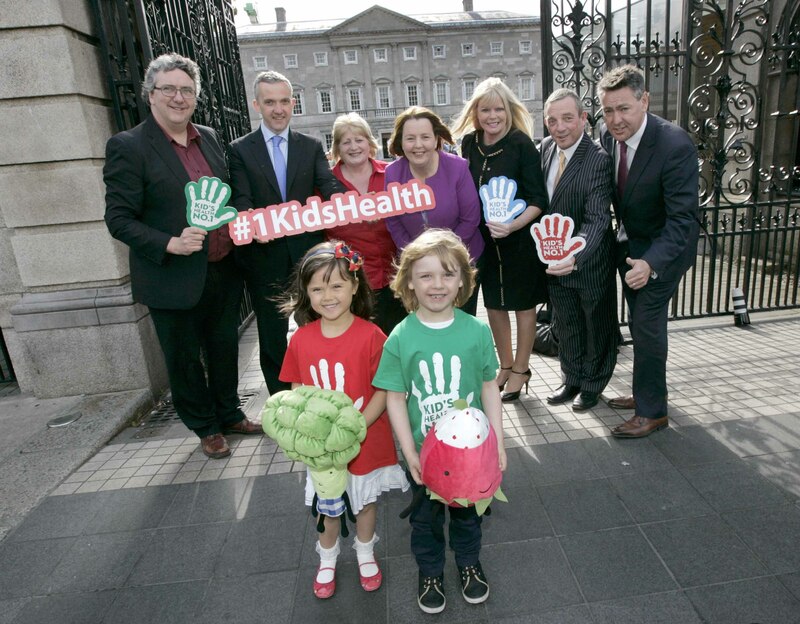 A new cross party Oireachtas group set up to seek a more effective policy response to the twin problems of childhood obesity and food poverty was launched in Dublin today. 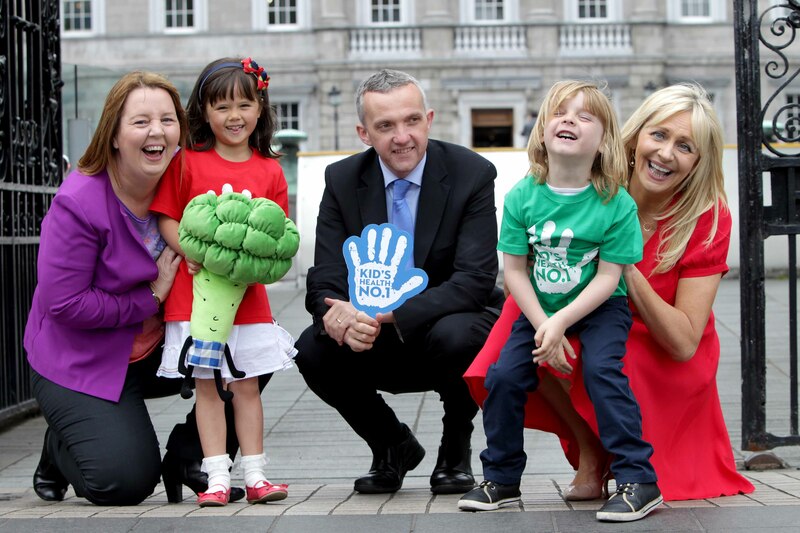 The Oireachtas Children’s Future Health Group, chaired by Independent Senator Jillian van Turnhout, was launched by RTE presenter Miriam O’Callaghan, along with Irish Heart Foundation spokesman and consultant endocrinologist, Professor Donal O’Shea. The group is being established amid growing concern across the political spectrum over the health status of children in Ireland at a time when one in four children are overweight or obese and one in five children go to bed hungry at night. The Irish Heart Foundation is providing a secretariat, along with expertise to support the group, which is also being assisted by organisations, including the Children’s Rights Alliance, Healthy Food for All and Social Justice Ireland. 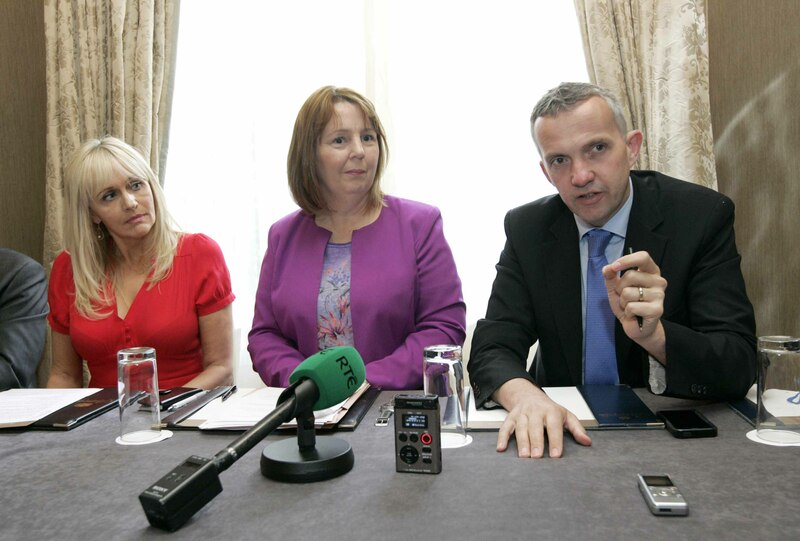 The members of the informal group include: Senator Ivana Bacik (Labour), Deputy Clare Daly (Technical Group), Deputy Billy Kelleher (Fianna Fail), Deputy Sandra McLellan (Sinn Fein) and Deputy Mary Mitchell O’Connor (Fine Gael). “To date actions to tackle obesity have focused on individual behaviour change through education, awareness and media programmes. But these don’t take into account the key drivers of obesity – the increasing availability and intense marketing of unhealthy food and drinks that are becoming cheaper all the time compared to healthy produce,” said Senator van Turnhout. Senator van Turnhout said the objective of the Oireachtas group was to develop proposals for actions which tackle the root causes of childhood obesity – particularly those recognising that childhood obesity and food poverty must be addressed in tandem and that solutions must be primarily targeted at disadvantaged communities. “The disparity between social classes is demonstrated in the Growing Up in Ireland study which shows that among nine-year-olds, whilst 19% of boys and 18% of girls from professional households are overweight or obese, the rate soars to 29% of boys and 38% of girls from semi-skilled and unskilled households. Specific areas the Oireachtas group will be examining include taxation to fund programmes such as fruit and vegetable subsidies and community food initiatives, school food provision, no fry zones around schools, addressing the impact of low incomes on health eating, food labelling and marketing of unhealthy food and drinks to children. Later this year the group will launch the first ever study on food marketing to children via the Internet and social media, which is currently being carried out for the Irish Heart Foundation. Media queries to: Caroline Cullen, Communications Manager, Irish Heart Foundation, Main switch: 01-6685001 or Mob: 086-6049282. The Minister is always very welcome to the House. The time he has dedicated to today’s debate shows that he has an understanding of the importance of this issue and the serious health concerns associated with it. There is no doubt that we are IN the midst of a full-blown obesity epidemic. It is shocking that 61% of adults and 22% of children between the ages of five and 12 are overweight or obese. Given that this issue is so costly and damaging to the health and well-being of the nation, it is difficult to understand why we are still discussing strategies rather than implementing the excellent strategies we already have. The national task force on obesity has been operating for almost ten years, but its recommendations have been implemented in a partial and haphazard manner. The then Minister for Health, Deputy Reilly, established a special action group on obesity in 2011. This group highlighted priority areas and policy recommendations, such as an introduction of a sugar tax and the improvement of nutritional labelling. These are very cost-effective ideas, but four years on there has been no action towards implementing any of them. Children remain particularly vulnerable. The Government’s failure to act is having a particular impact on them. They are increasingly vulnerable to chronic diseases, premature deaths and disability in adulthood. Given the negative impact of obesity on people’s health, it is understandable that we talk about it in a critical and negative way. However, we need to be mindful in our discourse that obesity and excessive weight are realities that people live with and struggle to overcome. This is especially important when we talk about childhood and adolescent obesity, which can have a significant impact on the self-image, self-esteem and confidence of the young person affected. For many years we have associated malnutrition with lack of food or starvation, but in fact that is under-nutrition. Obesity is the result of malnutrition, which is a poor diet with a lack of adequate nutrition for proper growth and development.Not everyone who is malnourished is overweight or obese but this does not mean that he or she is not seriously damaging his or her future health. It is imperative, therefore, that we shift the focus to a more holistic healthy lifestyle approach, with nutrition and exercise as its linchpins. We must tackle the unhealthy obsession that has developed about being fat, counting calories, “yo-yo” dieting and losing weight, all of which are serious issues among young adults, especially females. As previous speakers pointed out, school is where children spend the majority of their time in the company of their peers. Physical education in schools is essential to a child’s physical and mental development. The children’s sport participation and physical activity study of Irish students in primary and post-primary education found that a mere 35% of primary pupils and 10% of post-primary pupils received the minimum 120 minutes of physical activity in school per week, as recommended by the national task force on obesity. One in four of the children surveyed was unfit, overweight, obese or had elevated blood pressure. A 2013 report by the European Commission, Physical Education and Sports at School in Europe, found that the provision of physical education at primary level in Ireland is the third worst in the European Union, while at post-primary level, it was found to be seventh worst in the EU. This failure to ensure the weekly minimum of 120 minutes of physical activity for children is a serious blow to children’s health. We must promote physical activity, participation in physical education and non-structured play during school hours. Children should be encouraged to engage in team sports, join activity clubs in the community and simply enjoy the outdoors. When they learn these habits at primary school level they continue to be active throughout their teenage years, thus reducing the risk of obesity. I am concerned that parents do not have control over children’s eating habits when they are outside the home. While healthy lunch policies are widely implemented in primary schools, they tend to be abandoned when children enter secondary school. Research carried out this year by the Irish Heart Foundation on food provision in post-primary schools found that 51% of students have daily exposure to foods that are high in sugar, fat and salt and that these are widely available not only outside the school gates but also in school tuck shops and vending machines. There is no statutory requirement on schools to provide meals and hot food to students throughout the school day, although many schools have canteen facilities. Given the obesity epidemic we face, it is alarming that no national guidelines or standards are in place on the types of food and drinks available for children to buy. With no time for exercise and sugary, fatty foods surrounding children everywhere, it is little wonder that childhood obesity rates are high. If we continue to ignore this issue, our children’s health will only worsen. Obesity is also becoming a problem of poverty. Convenient cheap foods that are high in calorific value and low in nutritional value are becoming the norm for lower income families. Why are convenient healthy foods the most expensive option? Anyone who visits a canteen or shop will see that convenient healthy foods are the most expensive option. The cost of healthy food is becoming a barrier to a healthy diet for families. For this reason, I support the introduction of a sugar tax. The money generated from such a tax should be used to fund projects such as family food initiatives. These are projects that help to improve the availability, affordability and accessibility of healthy food for low income groups at local level using a community development approach. The objective is to help families to achieve a healthier lifestyle. The Minister raised the issue of free general practitioner care for children aged under six years and the two health checks available for this age cohort. While these are excellent initiatives, one of the issues people have raised with me is that they do not provide access to a dietitian or nutritionist in cases where a general practitioner encounters a problem. The schemes present an opportunity for general practitioners to engage with parents and provide them with nutritional information. As the Minister is aware, I fully support free GP care for children aged under six years. An issue arises regarding choice architecture. The Department organised a seminar some weeks ago on what is known as the nudge policy and a number of simple steps that could be taken in this area. One need only visit a local shop, supermarket or canteen to observe how choice architecture is being used. It is easy for shoppers to grab the unhealthy option. While many of us agreed with Senator Byrne’s interesting comments on food, these issues do not always click for us. If Members are not getting this information easily, how much more difficult must it be for someone managing a family and in a rush to do so? I thank the Minister for his attendance. My message is that we have policy blueprints and it is now time for action. 25 July 2013: Quarterly Meeting of the Joint Committee on Health and Children and the Minister for Children and Youth Affairs, Frances Fitzgerald TD. In light of the growing childhood obesity epidemic in Ireland and Government policy as set out in Healthy Ireland-A Framework For Improved Health and Wellbeing 2013-2025, to ask the Minister for Health why under the new Framework for Junior Cycle the status of physical education and SPHE (amongst others) has changed from a subject to a short course, thereby reducing recommended teaching time, and what will now be done under Healthy Ireland to ensure physical education and social, personal and health education in schools gets the priority they need? I am aware that on 4 October 2012, the Minister for Education and Skills, Ruairí Quinn, TD, published A Framework for Junior Cycle which outlines his plan to reform the junior cycle in post-primary schools. I understand and am supportive of the overall vision being pursued with the framework and my Department will assist the Department of Education and Skills in achieving this vision. We believe that if the reforms are implemented as envisaged, they may increase student engagement with school due to the decreased emphasis on rote-learning and the broadening out of areas in which students can achieve recognition for their achievements. This will have a positive impact on health and wellbeing. I am aware that the Department of Education and Skills is supportive of health and wellbeing and I welcome the inclusion of wellbeing as one of the eight principles underpinning the Framework for Junior Cycle. A position paper on Social Personal and Health Education and Physical Education has also recently been developed by a working group of relevant experts in the HSE which has been shared with the Department of Education and Skills. It is worth acknowledging that several health indicators in Ireland demonstrate positive trends in the health and wellbeing of adolescents in the last 10 years. Trends in the Health Behaviour of School-Aged Children Reports (ESPAD), for example, record declines in cigarette use, alcohol use, binge drinking and illicit drug use. Research evidence from an international perspective points to the need to have comprehensive all-encompassing strategies for health behaviours which involve multiple settings, including the school setting, if progress is to made in improving health and wellbeing. Improvements in the trends on health behaviours are most marked since 2002/2003, the years that the SPHE programme was required in junior cycle. It is likely that the roll-out of the SPHE programme has had a positive influence on the health behaviour of young people. Healthy Ireland which was launched in March contains a commitment to fully implement SPHE and PE and this was agreed with the Department of Education and Skills. As the Senator will be aware, Healthy Ireland contains a vision of an Ireland where everyone can enjoy physical and mental health and wellbeing to their full potential, where wellbeing is valued and supported at every level of society and is everyone’s responsibility. Clearly, the creation of healthy generations of children, who can enjoy their lives to the full and reach their full potential as they develop into adults, is critical to the country’s future. Responsibility for prevention programmes cannot rest solely with my Department, the HSE or, indeed, the Department of Education and Skills but must be shared across Government Departments and all of society. Officials in my Department will continue to meet with officials in the Department of Education and Skills to address issues of concern including these matters. The HSE Consent Policy was developed by an advisory group and a wider stakeholder group. These groups included representatives of the staff who will use the policy on a day to day basis and the document reflects the needs of practitioners. The principle of consent and the knowledge of the importance of obtaining consent are expected of all staff employed or contracted by the HSE. Knowledge of the importance of consent is, and has long been, a professional requirement for health and social care professionals. Therefore the main focus of support for the policy is providing guidance rather than training and education of staff. At a local level there is a training requirement for new staff on local protocols and documents/forms used for consent, and this will continue. The definitive document (HSE National Consent Policy) is in itself a guidance document and has been supplemented by the publication of a brief summary entitled ‘Seeking Consent: A Brief Guide for Health and Social Care Workers’. This provides practitioners’ guidance on how to use the policy in service settings. To support staff in the hospital services the HSE will review the consent forms that currently exist for common procedures with the view to development of nationally agreed forms/templates. This will reduce variation in information provided and improve the quality of the consent process; and reduce training requirements as staff move around the system. Children and Family services provide particular challenges in the area of consent. The Children and Families Services are developing an implementation plan to address particular requirements that arise in the delivery of services. The plan is being prepared at the moment. Two service user guides have also been developed and published to help patients and service users understand the consent process and what they can expect from their healthcare provider and professional. A log is maintained of all queries raised with the Quality and Patient Safety Directorate in regards to the use of the policy and these will inform the updating of the policy and other guidance as required. Question 5: Counseling service for mothers. Given that an estimated 28,500 women in Ireland are diagnosed with perinatal depression, post-natal depression and pregnancy or childbirth related post-traumatic stress disorder each year, to ask the Minister for Health what efforts are being made to tackle delays of 9 months and more for mothers to be seen by a professional counsellor in the public health care system? Pregnant women access a range of services including primary care, obstetrics and ante-natal and post-natal services. If the individual herself, or any of the healthcare professionals caring for her during her confinement have a concern, they should first access their GP or Primary Care team in the normal way. Where an individual is assessed as requiring referral for specialist mental health services, their GP would refer to their local General Adult mental health service. For women with a recognised mental health need, they may discuss the management of their pregnancy with their consultant psychiatrist as it may be necessary to alter their treatment programmes as some medications as contraindicated in pregnancy. All community mental health teams would have experience of such presentations and collaborate with the obstetric services to ensure a safe delivery and appropriate aftercare. For women with a previous history of post-natal distress or depression, there is an elevated risk of recurrence and this would be actively managed through high frequency review by the GP who assess when it would be necessary to engage with the specialist mental health services if at all. Access to counselling for all medical card holders, including pregnant women, is now available through the Counselling in Primary Care Service. The detail of this new service and pathway of referral is attached in Appendix 1. If an individual is being treated within the specialist secondary care mental health services and counselling is indicated clinically then the appropriate intervention by a trained health professional would be made available. There are 123 General Adult Community Mental Health Teams nationally. The HSE, in its 2012 Service Plan, prioritised €35m and 414 WTEs for reinvestment in mental health to progress the objectives in the Programme for Government. One of these objectives was to enhance General Adult and Child and Adolescent Community Mental Health Teams. The HSE, in its 2013 service plan intends to build on this investment with a further €35m to strengthen General Adult and Child and Adolescent Community Mental Health Teams. In addition, there are three peri-natal Psychiatrists based at The National Maternity Hospital Holles St, The Coombe and Rotunda Maternity Hospitals reflecting the number of births at these centres each year. Of the 414 posts allocated in 2012, 389 posts have either been filled, or under offer or awaiting clearance. These posts include multidisciplinary team members across all the health professions. Of the 477 posts approved in 2013, 133 posts have been accepted by candidates. A further 16 offers have been made from existing panels. The HSE is establishing new panels and other arrangements to fill the remaining posts. Currently, our mental health data system is a manual system and the information in respect of service users who may be pregnant is not captured nationally.